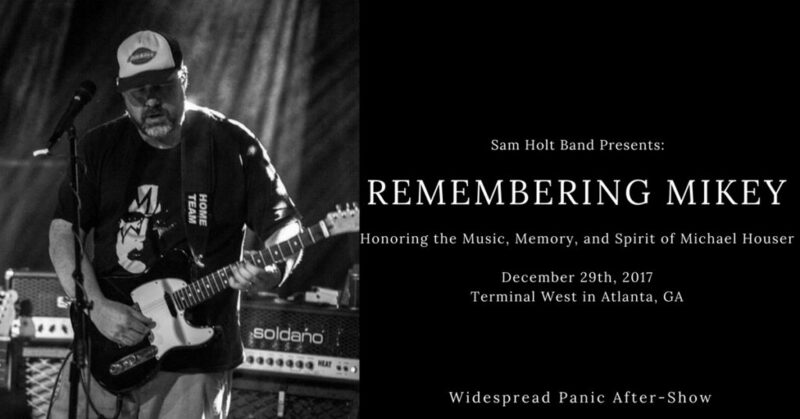 Widespread Panic After-Shows | Sam Holt Band will play two night’s of “Remembering Mikey” in Nashville TN. 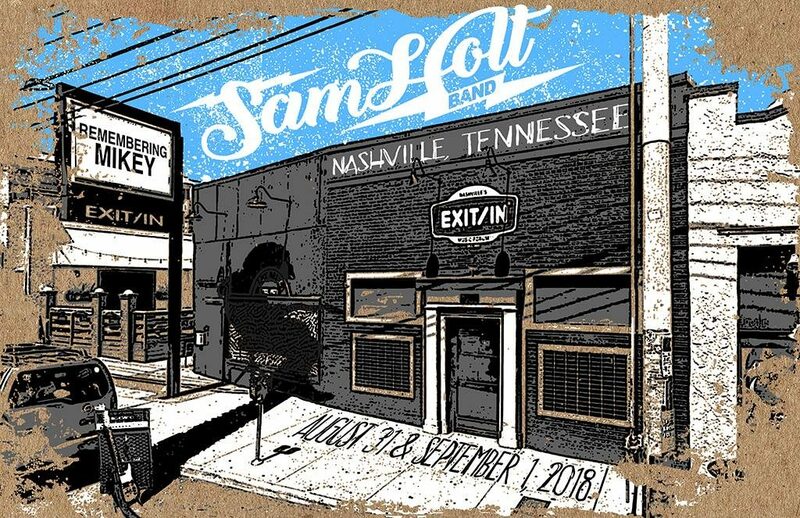 Remembering Mikey, Sam Holt Band’s tribute to Michael Houser will be doing two select shows in Nashville TN at the EXIT/IN at the conclusion of Widespread Panic’s shows on August 31st and September 1st, 2018. That’s right… two nights… these are after-shows… and the music will start at the conclusion of the Widespread Panic shows and go late! 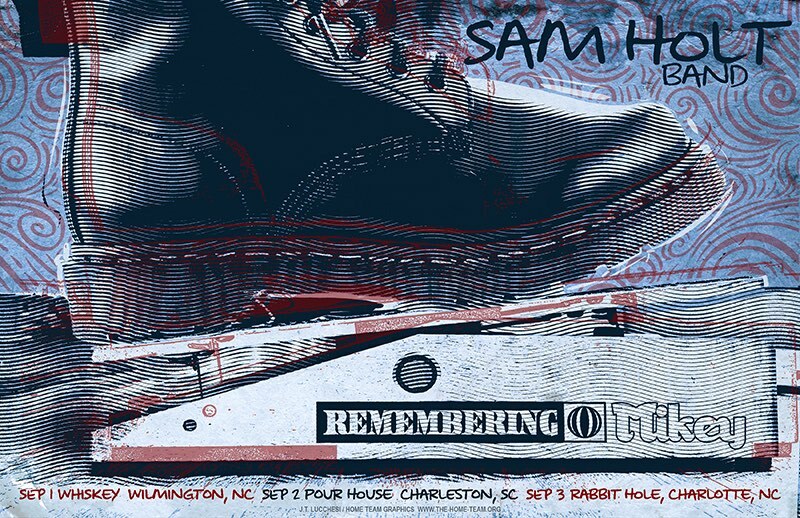 Led by Sam Holt, the show will feature Houser originals as well as songs from Houser’s posthumous release Sandbox. The band will also be performing a number of Holt’s original songs written for and inspired by Houser. Widespread Panic’s founding member, Michael Houser, passed away in 2002. Holt served as Houser’s guitar tech at the time and remembers experiencing a moment of clarity. “There were many times when he [Houser] told me, ‘You need to go play music,’” says Holt. “I realized I needed to make the most of my time.” Eventually, Holt performed with Widespread Panic as their lead guitar player. Since that time, Holt has formed his own musical groups, touring and building a large fan base across the country; first with Outformation and currently with The Sam Holt Band which formed in Colorado in 2011. Holt takes time to honor his friend Michael Houser with the upcoming shows, billed officially as “Remembering Mikey” – Honoring the Music, Memory and Spirit of Michael Houser. Holt and Grace will once again be joined by bassist Ross Parker and drummer Jeremy Ward, and special guests are expected to be announced as well, making these after-shows something you will not want to miss. The band will kick off these performances at the conclusion of Widespread Panic’s concerts at the ASCEND AMPHITHEATER. on the road this April with Remembering Mikey shows in Augusta, Asheville, and Charleston. Lead by Sam Holt, the show will feature Houser originals as well as songs from Houser’s posthumous release Sandbox. The band will also be performing a number of Holt’s original songs written for and inspired by Houser. Holt and Grace will once again be joined by bassist Ross Parker and drummer Jeremy Ward, and special guests are expected to be announced as well, making this a show you will not want to miss. The band will kick off the mini-tour with a Masters week performance at Sky City in Augusta Georgia on April 5; followed by a stop in Asheville NC at Savage Station on April 6; and will conclude the tour on April 7 at The Charleston Pour House. 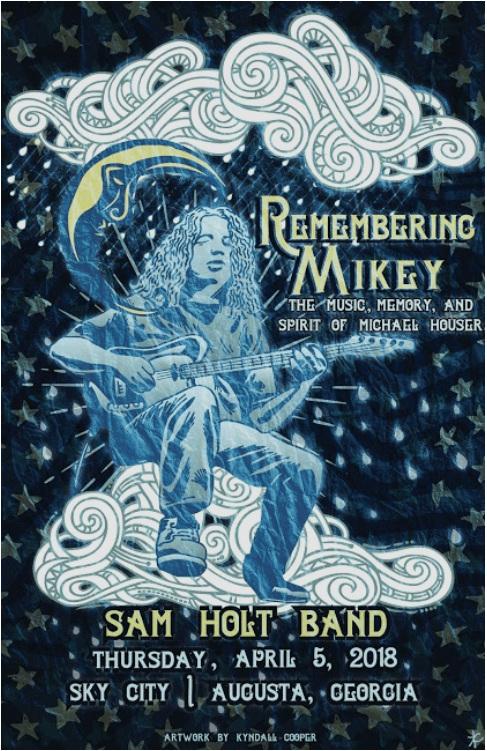 On December 29th, 2017, Sam Holt Band Presents Remembering Mikey – Honoring the Music, Memory, and Spirit of Michael Houser… LIVE at Terminal West in Atlanta, GA. 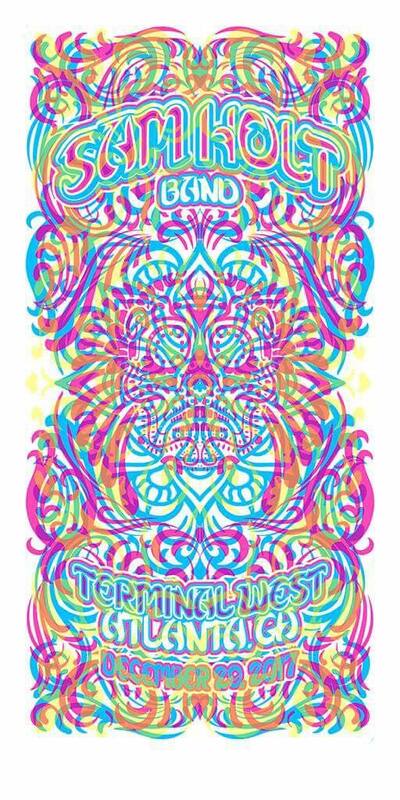 The show will start at the conclusion of Widespread Panic’s concert at The Fox Theater. This will only be one special show in celebration of the late Michael Houser. 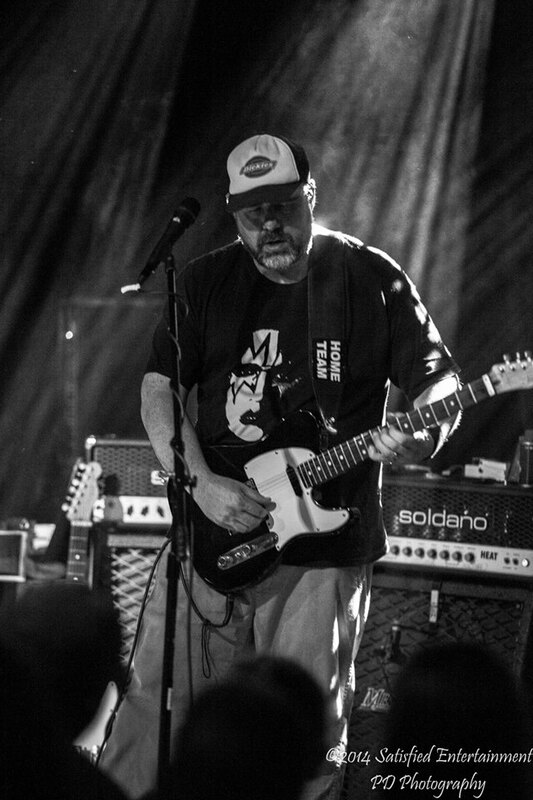 Houser was the founding guitarist for Widespread Panic. He succumbed to pancreatic cancer in August, 2002. Sam Holt was Houser’s guitar tech and friend. Holt also performed with Widespread Panic many times after Michael’s departure and went on to form the band Outformation. 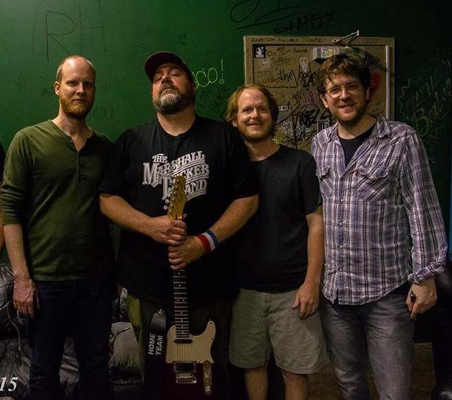 The December 29th after-show will feature tunes from Houser’s posthumous album Sandbox, as well as classic songs he wrote for Widespread Panic. Sam Holt Band will perform original material that was inspired by and written for the late Michael Houser. The shows are billed as, “Sam Holt Band Presents : Remembering Mikey – Honoring the Music, Memory, and Spirit of Michael Houser”. Sharing the stage with Holt is Adam Grace, keyboardist for Truth & Salvage Co., Ross Parker on bass, and Jeremy Ward on drums. Special guests are also likely to appear. Tickets are available now by clicking here. Sam Holt & Friends have just announced a weekend run of Remembering Mikey shows to honor the beloved music of Michael Houser. This year marks the 15h anniversary of Michael Houser’s passing. This three-day tour will feature a line-up of Sam Holt on guitar, Adam Grace on keys, Jeremy Ward on drums, Ross Parker on bass, and a few very special guests along the way. These very special dates will be limited to three shows only… so get ready East coast! Come celebrate the life, spirit and music of one of the greatest musicians to ever bless the stage. See you all there! 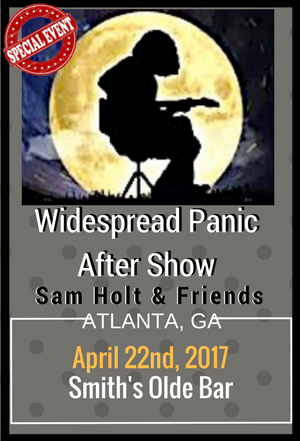 Sam Holt & Friends have announced a special one night show at Smith’s Olde Bar in Atlanta following the first Widespread Panic show at the Sweetwater 420 Festival on April 22nd, 2017. This WSP After Show will feature the “Remembering Mikey” lineup, honoring the beloved music of Michael Houser. The after show will start right after WSP concludes and will stay open LATE… until 3am (special extension for special people)! If you missed the last Remembering Mikey show in Atlanta, you can hear a recording it here. That night was a true heater… with a guest appearance from Larry Acquaviva Reading a Poem On Mikey Houser during the introduction. Get your tickets to this show now…. as we expect this aftershow to sell out as usual. Sam Holt Band are playing two special shows in celebration of the late Michael Houser’s January, 6th birthday. 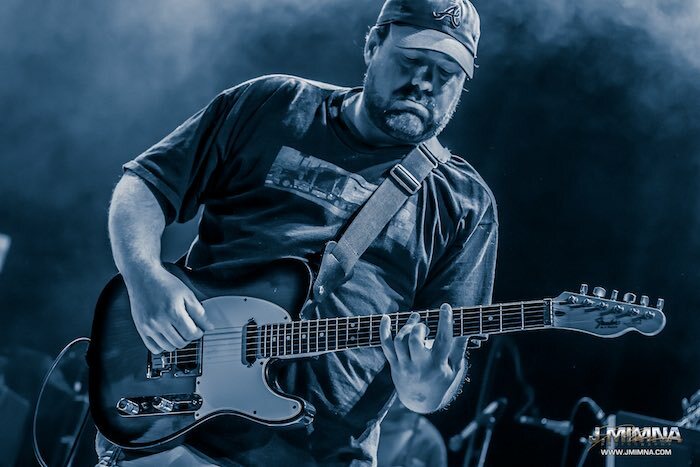 Houser was the founding guitarist for Widespread Panic. He succumbed to pancreatic cancer in August, 2002. Sam Holt was Houser’s guitar tech and friend. Holt also performed with Widespread Panic many times after Michael’s departure and went on to form the band Outformation. The show will feature many tunes from Houser’s posthumous album Sandbox, as well as classic songs he wrote for Widespread Panic. Sam Holt Band will also perform original material that was inspired by and written for the late Michael Houser. 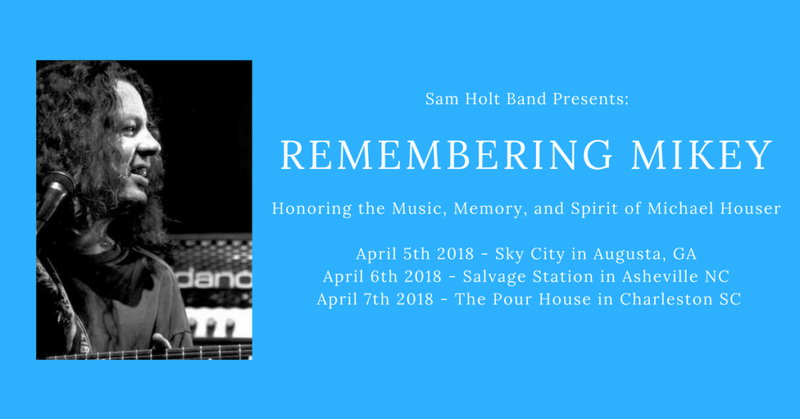 The shows are billed as, “Sam Holt Band Presents : A Michael Houser Birthday Celebration – Honoring the Music, Memory, and Spirit of Michael Houser“. Sharing the stage with Holt is Adam Grace, keyboardist for Truth & Salvage Co., Ross Parker on bass, and Jeremy Ward on drums. “Remembering Mikey,” the band led by Sam Holt, honoring Michael Houser’s music, is back on the road this summer with a beach run this July. The shows will feature Houser originals, songs from Houser’s posthumous release Sandbox, as well as Holt’s original songs that written for or inspired by Houser. When Widespread Panic’s founding member, Michael Houser, passed away in 2002, Holt who served as Houser’s guitar tech at the time realized he needed to make the most of his time. “There were many times when he [Houser] told me, ‘You need to go play music,’” says Holt. In 2002, Sam formed the band, Outformation. Jojo Hermann of Widespread Panic produced their first album Tennessee Before Daylight in 2005. The following year Sam played lead guitar for Widespread Panic during the Summer 2006 tour. In 2011, he formed the Sam Holt Band. In that time, Holt has built a large fan base across the country. Holt takes time to honor his friend Michael Houser with the upcoming shows, billed officially as “Remembering Mikey – Honoring the Music, Memory and Spirit of Michael Houser”. Sharing the stage with Sam Holt is Adam Grace, keyboardist for Truth & Salvage Co., Ross Parker on bass, and Jeremy Ward on drums making this a show that cannot be missed by Houser fans. “Remembering Mikey will be a unique experience for Houser fans. I am a huge fan of Widespread Panic and Houser’s music. It is an honor to be a part of this tribute to Houser, one of the greatest musical minds of our time.” -Adam Grace. Sam Holt and his band will be performing a “Special Set of Michael Houser Music” for the Widespread Panic Afterparty on October 30th in Asheville, NC. This one-time event takes place at The Orange Peel which is within walking distance of the US CELLULAR. Tickets will sell out fast for this event! We would advise that you get your pre-sale tickets HERE… while you can! Notes: SHOW STARTS AFTER THE PANIC SHOW! This show will sell out. Get your tickets now! REMEMBERING MIKEY has added one last show to the upcoming tour. 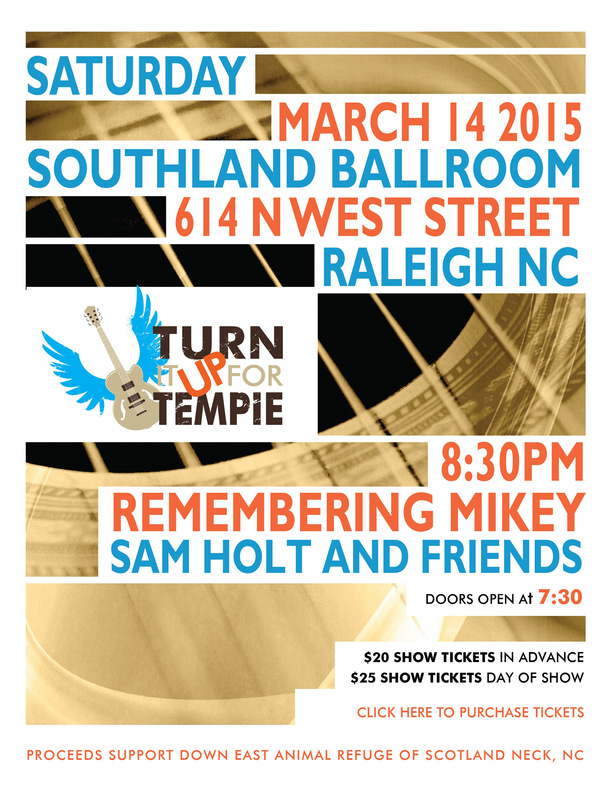 On March 14th, 2015, Sam Holt and Friends will bring the Houser Tribute to Raleigh. This performance, at the Southland Ballroom in Raleigh, NC, will be for a great cause. Turn It Up For Tempie is sponsoring this night of Mikey-era tunes… and all proceeds will go to support the Down East Animal Refuge of Scotland Neck, NC. Click Here for tickets. Sam Holt Tribute to Michael Houser Planned for March. “Remembering Mikey”, the band honoring Michael Houser’s music, is back on the road this March with shows throughout the Southern USA. Lead by Sam Holt, the show will feature Houser originals as well as songs from Houser’s posthumous release Sandbox. Holt will also be performing a number of original songs written for and inspired by Houser. Widespread Panic’s founding member, Michael Houser, passed away in 2002. Holt served as Houser’s guitar tech at the time and remembers experiencing a moment of clarity. “There were many times when he [Houser] told me, ‘You need to go play music,'” says Holt. “I realized I needed to make the most of my time.” Eventually, Holt performed with Widespread Panic as their lead guitar player. 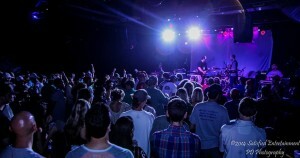 Two other members of “Remembering Mikey”, Jeremy Ward and Ross Parker, played the music of Widespread Panic for years in a tribute band called “Farmer’s Soul”. They garnered a huge fan base in the South and will provide the perfect rhythm section for Sam Holt. The final member of the group, Adam Stern, will be playing pedal steel and guitar, making this tribute a show that cannot be missed. 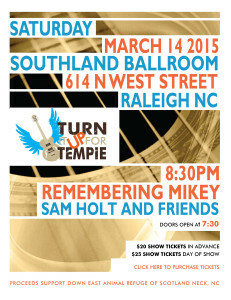 You can read more about Sam Holt, Remembering Mikey, and get your pre-sale tickets at the official band website www.rememberingmikey.com.